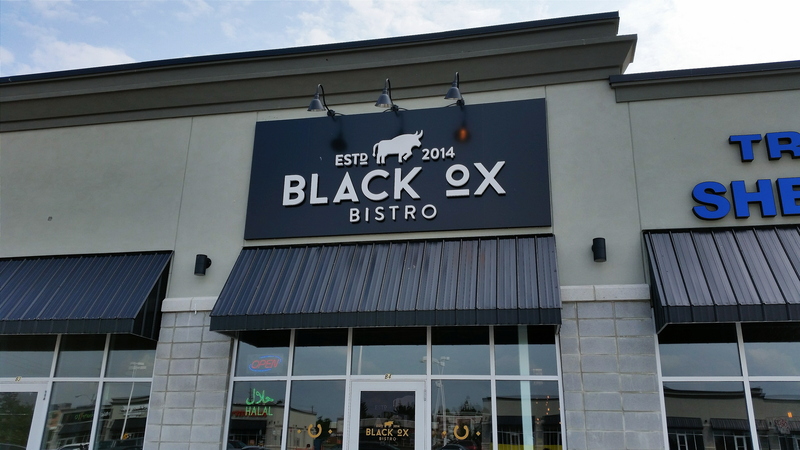 With great regret, I must inform you that Black Ox Bistro has since closed down. Toronto, Canada. Home to over two million of the most polite, friendly and welcoming human beings on Earth. Those of you who follow our Instagram page will know that I had a phenomenal week’s holiday in the state of Ontario, which consisted primarily of seeing the sights and throwing my dollars at anything remotely edible. With a surprisingly diverse population, it’s no wonder that Toronto is home to a wide variety of halal food from a variety of cuisines, and it’s also no wonder that I put on a few “holiday pounds” during my stay. Amongst the handful of fantastic restaurants I visited, there was no difficulty in choosing which would feature in the first post of our “Toronto Special” series. This series will continue on a fortnightly basis, so as not to overwhelm our UK readers at home with restaurants they probably won’t be visiting any time soon. 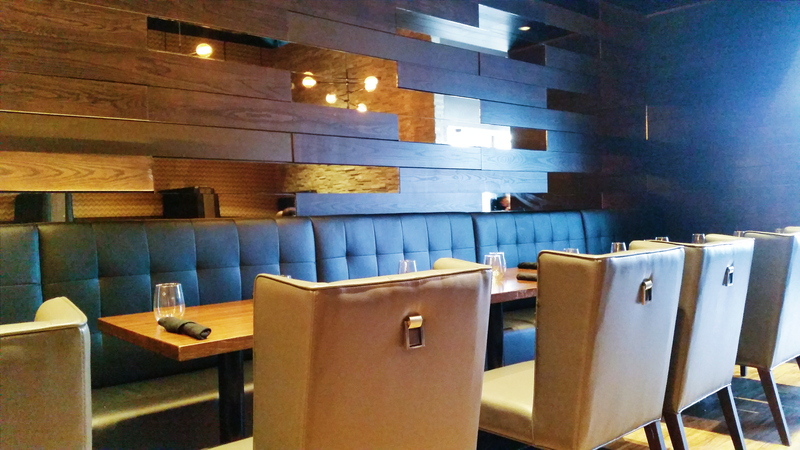 Black Ox Bistro, located in Toronto’s district of Scarborough, was established in 2014. As such, it’s somewhat of a newborn infant in comparison to Toronto’s more established steakhouses, and indeed in comparison to our own old and gold steak establishments here in the UK. But, like all newborn infants, Black Ox Bistro has, in a short amount of time, stolen the limelight and reduced Canadian food lovers into a collectively doting, cooing, blabbering mess, and with good reason. 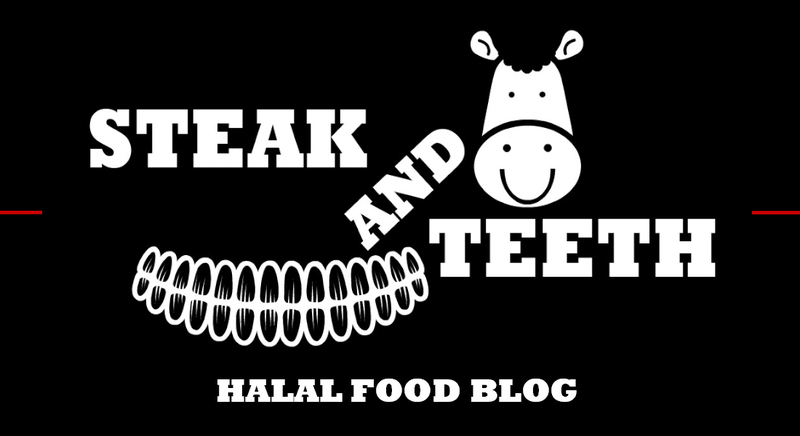 Held in high regard by Canada’s “Halal Foodie” (see http://www.halalfoodie.ca), they instantly grabbed my attention during my pre-holiday reconnaissance, and were, without a doubt, one of the culinary highlights of my trip. All the meat here is halal. A food score of five? Already? Yes, that’s correct. With international destinations, it is of course, highly unlikely that I’ll be making return trips to restaurants to assess the consistency aspect of their food. Thus, I’ll be making exceptions to my rule and awarding “flawless food” scores to exceptional international restaurants even after just one visit, and Black Ox Bistro is certainly worthy of such exception. After a long morning exploring Scarborough Bluffs Park, myself and Scooby-doo settled down for a bromantic date for two, whilst the rest of our seven-man crew headed off for a cheap takeaway burrito – quite possibly the worst decision of their life, given what they were about to miss. First to arrive to whet our appetites were our drinks. I had opted for a raspberry mojito, which possessed a powerful, sharp sweetness, and a piercing tangy punch that seemed to explode into my tastebuds like a rude SWAT team on a Monday morning. 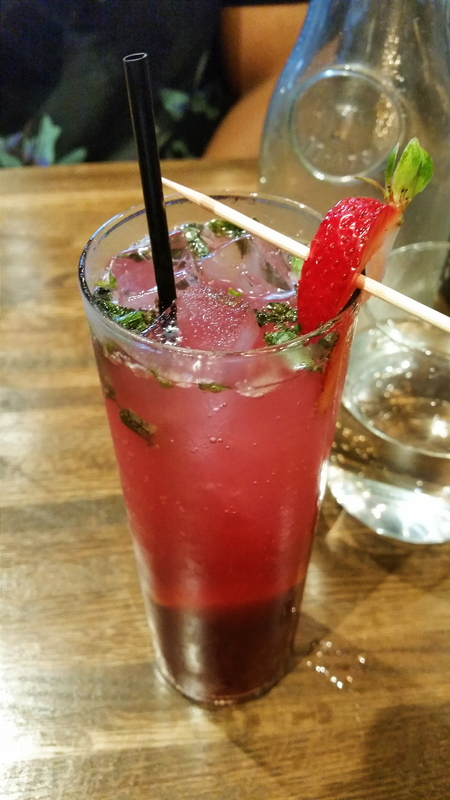 The thick syrup responsible for this tastebud-raid was saturated with berry flavours, creating nothing short of a fantastic mojito. For starters, we settled upon the beef brisket poutine and roadside sliders to share, both of which could easily have been mistaken for a main course. Poutine is a Canadian creation that essentially consists of fries and cheese curds, covered in a beef gravy sauce, and is a dish that can be found throughout Canada. 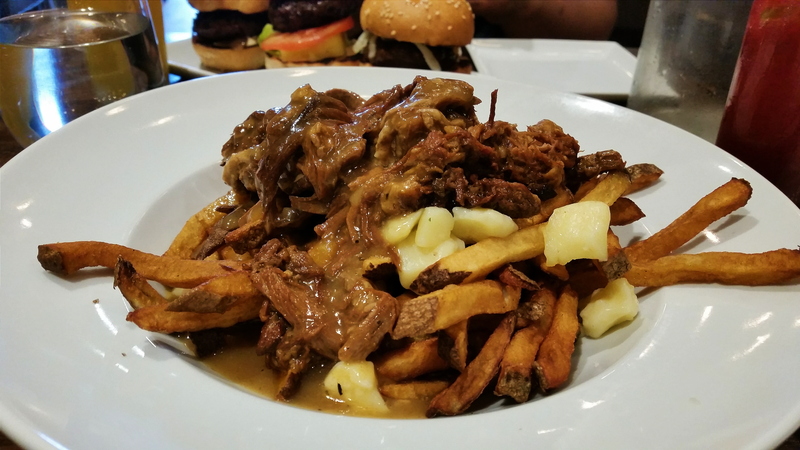 Black Ox Bistro’s take on this classical Canadian creation involved rustic, high quality fries with a smokey essence, littered with soft and rubbery mature cheese curds, and wonderfully soft and tender shreds of beef brisket. This great concoction of components was soaked in a thick, smooth gravy, and together, formed a deliciously moist poutine that was packed with flavour. 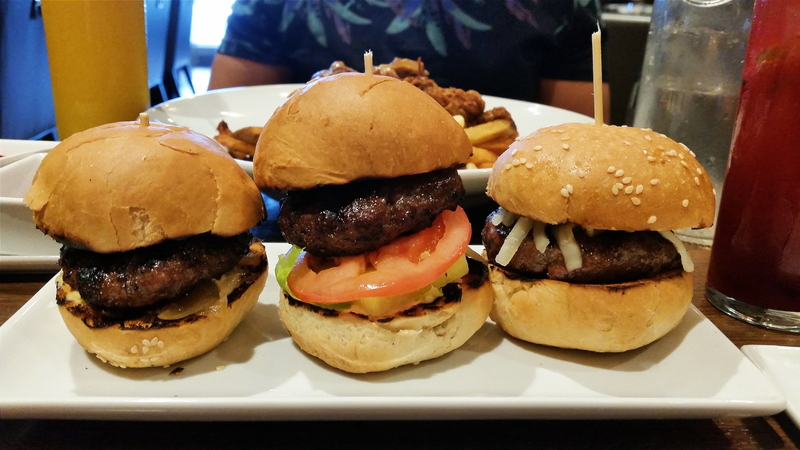 The sliders were just as impressive, with thick patties of an exceptional quality that packed a very strong meaty essence and a punch of flavour, all encased within soft and thick buns. For mains, I decided to thoroughly exploit the currency exchange rate, and opted for a 10oz fillet mignon steak with roast-garlic-infused mash potato, chef de paris sauce, and an assortment of vegetables. Often, I think of fillet mignon steaks as the more refined cuts of cow. If fillet steaks were a James Bond, they’d resemble Sean Connery – clean, smooth and suave, and the kind of Bond who simply readjusts his tie and cufflinks after a fight, without a single scratch on his person. Black Ox’s fillet steak however, was most certainly a Daniel Craig. It looked rough, mean and battle-hardened – a blunt man in a sharp suit. A steak that would greet me with a headlock just because it could. 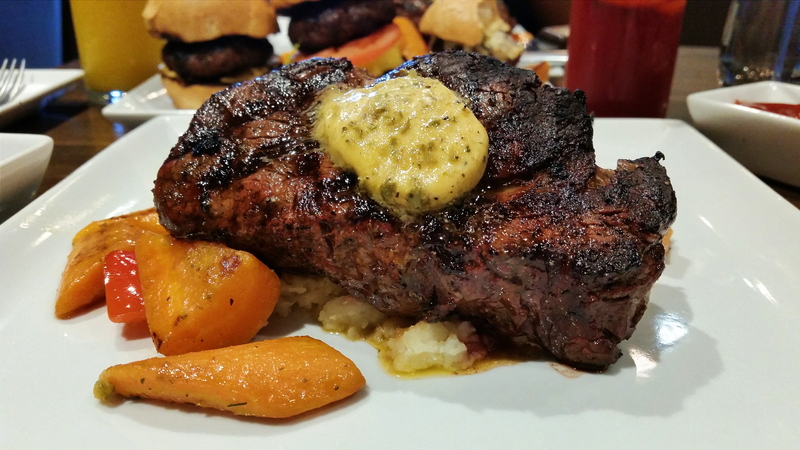 Despite it’s rugged appearance, the steak was, without a doubt, of a most phenomenal quality. Thick, succulent and moist, the entire steak was extremely tender throughout, proudly bearing a perfect medium-rare cook with a beautiful, vibrant band of pink spanning the majority of the centre. Each incision released a flurry of juices, and with a plentiful amount of seasoning, a subtle touch of salt on the surface, and a strong, beefy background essence, the steak continued to deliver in flavour and texture, bite after bite. The accompanying mash potato was of a good quality, though it was far from perfect. It possessed a strong background essence of garlic, and was thick and smooth in consistency for the most part, but there were a certain number of lumps here and there which should have been ironed out. I don’t mean that literally of course, though ironing would probably be quite a good method of smoothening mash potato (albeit a messy one). The accompanying vegetables provided a pleasantly contrasting crunchy texture, and were without a doubt, fresh – although, they weren’t significantly seasoned. That said, the steak was so great, I really wasn’t particularly bothered by the shortcomings of a measly carrot. By this stage, I wasn’t entirely sure whether my weight would be within the plane’s haulage limit for the return flight home. 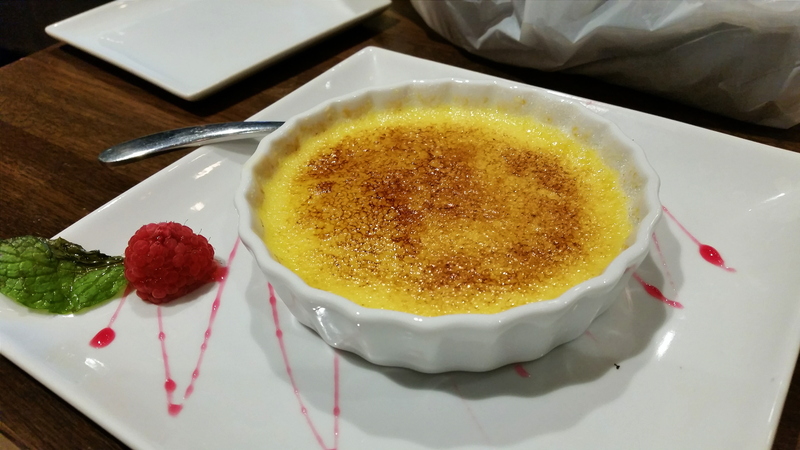 Nonetheless, I continued to over-pack myself, by wandering carelessly into the dessert menu, and selecting the crème brulee. It possessed a delicate, yet crispy crystallised skin, which could be easily broken through to reveal the thick and unbelievably rich custard lying within. The soft texture and smooth sweetness of the custard was contrasted well by the crisp texture and sharp sweetness of the surface, resulting in the delivery of a powerful, satisfying richness with every bite. After an excellent selection of starters and main course, it was the final, perfect piece of a perfect puzzle. Of course, with the current exchange rate, almost everything in Canada is more or less “half-price” for us Brits. (It’s that sort of attitude that earned me my holiday weight). By Canadian standards, Black Ox Bistro is rather expensive, but it’s worth bearing in mind that it’s a high-end steakhouse. Our starters cost $12 (£6) each, whilst my fillet mignon (the most expensive cut) came in at $29.50 (£14.75), and our desserts and drinks came in at around $6 (£3) each, with all the other items on the menu being similarly priced. They also do steak sandwiches and a range of pastas and rib dishes, which range from $12-$19 (£6-£9.50). Our total bill came to around $120 (£60) for two people, excluding a tip. Whilst this sounds rather steep, bear in mind that the two of us went a little overboard, with three courses and a mocktail each. Those of you who have worked it out to be around £30 per person are probably screaming in disbelief at how much of a bargain that is, given that Black Ox Bistro is a premium steakhouse. The quality of the steaks (and the food in general) at Black Ox is phenomenal, and each dish is so ridiculously satisfying that every penny (or rather, every cent) spent at Black Ox Bistro is a penny (or cent) that is well worth paying. And just to be clear, by British-sterling standards, Black Ox scores a straight 5/5 for value for money. £16 for a 10oz cut of quality fillet? If I wasn’t afraid of ruining my clothes and getting into trouble with customs, I would’ve taken a dozen to put in my suitcase. 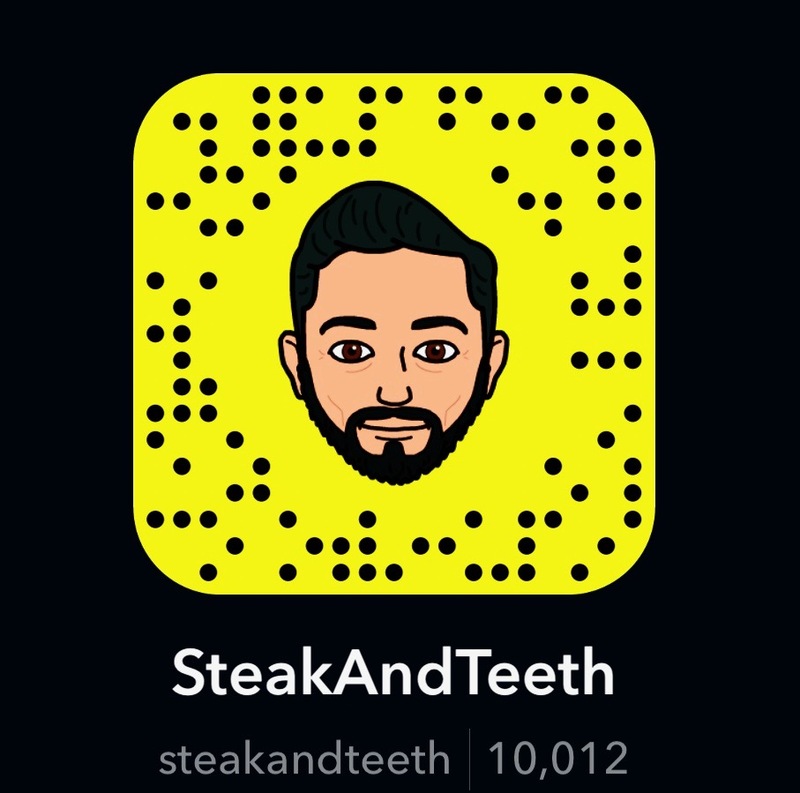 As you read through this Toronto series, you’ll come to realise that I’ve given almost every restaurant I visited, a rather high score for service, and that’s simply because almost everyone in Toronto is so incredibly friendly, including the staff at Black Ox. The benchmark for good service in the UK (or rather, in London), is a waiter or waitress who doesn’t use three different layers of monotone at once as they throw your food on the table and expect a tip for generously avoiding your head. In Canada, the standards of service for which I’d normally award a 4-5 in London, were more or less the bare minimum you could expect at any restaurant. Toronto well and truly puts London to shame when it comes to hospitality. Our waitress at Black Ox was incredibly welcoming and helpful, and recommended all the best options from the menu. Or rather, dictated what we would be having. “Cheesecake for dessert? No, you don’t want cheesecake for dessert, you want the housemade crème brulee.” Oh, okay. I guess we want the crème brulee. Like every great woman, she told us what to do and what we wanted, whilst simultaneously making us feel as though it was our own, independent decision to do and want what she wanted us to do and want. As is usually the case, this psychological puppetry many women utilise worked out for the best, and every recommendation, (or rather, dictation), she gave to us was superb. She knew exactly which dishes and options the restaurant did best, and ensured we had a fantastic meal. The majority of restaurants in Toronto, excluding those downtown, seem to be placed within “retail park” style allotments, rather than upon actual roads, in a sort of all-in-one-all-you-can-eat fashion, and Black Ox Bistro sits in one such park in Scarborough. The majority of restaurants in Toronto also do not present with particularly extravagant decors when compared to the UK, and many places seem to have a simple, function-over-form appearance. Black Ox Bistro however, certainly goes the extra mile. 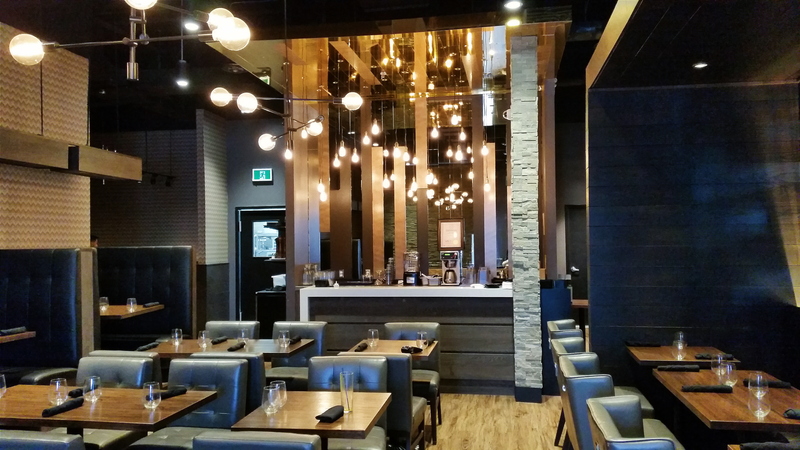 With comfortable leather chairs, unique light fixtures, a mix of wood-panelling and stone walls and a high, open ceiling, Black Ox boasts a comfortable, attractive, and stylish modern decor. And if like myself, you have a face fit for the radio, you needn’t fear, as the only mirror in the dining area is split, slitted, and mostly replaced by wood panels, so at most, you’ll only catch a glimpse of your unappetising face. It was a rather quiet lunch time when we visited, and I’d presume that the restaurant is a lot livelier at dinner time. Nonetheless, the relatively peaceful and attractive surroundings make for an easy atmosphere in which to relax as you plough through plates of food. With connotations of brute strength and power in its name, Black Ox Bistro delivers a strong kick on all fronts. Armed with high quality cuts of steak and a wide array of other fantastic food items, Black Ox is a must-visit halal restaurant in the must-visit city of Toronto, and it is one in which you’ll be forced to wrestle with the limitations of your appetite, in order to move from one exquisite course to the next.